Looking back at my reading list recently, I noticed that the last few months have been totally devoid of any foreign-language reading – by which I mean reading books in a language other than English (reading books originally written in another language is a different story altogether). While Women In Translation Month is all about promoting books others might like to read, I also felt it was time to stretch myself a little and try a couple which aren’t available in English yet. Who know? After reading my reviews, maybe someone will decide to bring them out in English at some point. Many readers will be aware of Véronique Olmi’s Beside the Sea (translated by Adriana Hunter), which was Peirene Press’ debut offering, but virtually none of her other works have made it into English thus far. 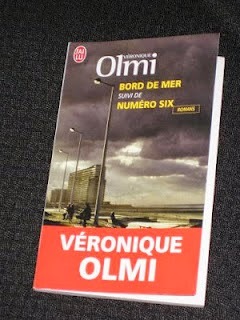 However, my French-language edition of Bord de Mer actually came with a companion story, the enigmatically-named Numéro Six (Number Six). It’s no coincidence that the two works are bundled together. As well as being Olmi’s first two published works of fiction, the stories complement each other nicely as they both look at parent-child relationships – just from differing viewpoints. Decades later, Fanny Delbast, the child in the water, picks up the tale of her life as she watches over her father. She is now fifty years old, and her father, a former doctor and war hero, has just reached his century, an old man enjoying the quiet of his final years. What seems like a perfect father-daughter relationship has a darker side, however. Fanny, ‘numéro six’ in the Delbast family, is a woman who has craved her father’s attention all her life, and this book is the story of how she tried to get it – starting with her journey into the water. “J’ai mis toute mon énergie à trouver cet endroit. Je te voulais près de moi. Dépendant de moi. Quel soulagement pour le aînés, ils n’y croyaient pas, ils ont dit qu’ils pouvaient payer, que le prix ne devait pas être un obstacle, surtout que rien ne m’arrête dans mes recherches. “I put all my energy into finding this place. I wanted you close to me. Dependent on me. What a relief for the others, they couldn’t believe it, they said that they’d pay, that price was no object, just as long as nothing got in the way of my research. As we travel through her early life, we see why she longs for her father’s affection so much. An afterthought, a late, unexpected addition to a large Catholic family, she is less Fanny than numéro six, just a number, the last of the children. Any trick she thinks of to draw her father’s attention seems to backfire, her efforts ignored or repulsed. She even goes to the extreme of faking a debilitating illness in her childhood – one which renders her virtually bed bound for an entire year. In truth, though, the more the story develops, the less Numéro Six is about the daughter and the more it becomes the story of the father. While the man of the now is a hundred-year-old child waiting for his life to end, the narrator gradually shows us more of his roles. He was a respected doctor, a feared family head, a loving young son and, perhaps most importantly, a soldier during the Great War, one of the sons of France who responded to the call to arms in 1914. Learning about the war years through her father’s letters, the only things Fanny received from the carving up of her parents’ estate, she gains an insight into the emotions behind the paternal mask. Much of her father’s behaviour in later years (his fierce love for his wife, his need for silence) can be explained by what happened during the war years, his dreams haunted by memories of life in the trenches and those who were left behind on Flanders’ fields. I'm French and I've read both books years ago in separate editions since both books have been published alone in hardback and in paperback. I had never seen your edition before. My favorite one is “Bord de mer” maybe because I felt so much for the mother (I have no child so this is not a mother-thing point) and because I like drama in fiction. As you wrote your review is focused on the father, I've reread my own review and I've been focusing on the daughter, her personality and her feelings. 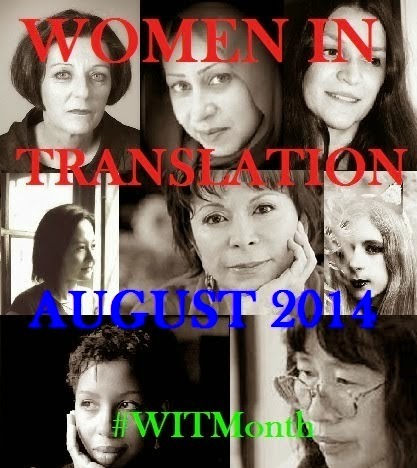 A timely reminder during Women in Translation Month of how much is untranslated – but that makes your review all the more fascinating, if frustrating! Flo – That doesn't surprise me; we're all influenced by gender 😉 While I liked 'Bord de Mer', I wasn't a fan of the writing. I realise it was meant to be the voice of a woman with little education, but it just didn't quite work for me.